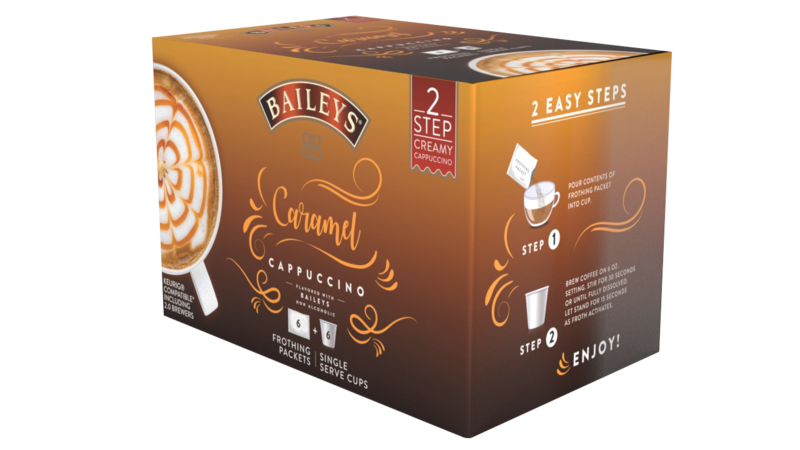 This is a sponsored conversation shared by Wrapped Up N U on behalf of Bailey's Cappuccino. Welcome to the Bailey’s 2 step Cappuccino kit GIVEAWAY! Now, your Keurig machine is a coffee house and you are the barista with the Bailey’s 2 step Cappuccino kit. Simply pour the powder packet of frothing milk into your mug or glass and brew the single serve coffee cup then stir and watch the creamy, dreamy magic happen. It’s a perfectly flavored cappuccino every time, no foaming, frothing, or tipping required. Prize: 1 winner will receive a prize package from Bailey’s 2 step Cappuccino kit a $49.99 value. This sounds so good. What a great cup of coffee for the holidays. Thank you so much for sharing. i would love to share a cup with my husband. we love drinking coffee together. I would share with Jack T.
I would enjoy sharing this with my husband and daughters. I would also share with my walking partner after a long walk. I'd love to share with my daughter when she comes home from college for the holidays! I'd love to share this with my sister-in-law over the holidays! I would love to win because I've always loved a shot of Bailey's in my coffee. Even the styrofoam cups on the airplane couldn't ruin it. Well, not entirely. I Would Love To Win because this year i can not buy any Christmas Gifts at all. I Would share if i won so my family would have something. I'd love to win so I could have a yummy drink for the holidays. I would love to win because I love coffee and I want to share with my family! Thanks for the awesome giveaway! I’d be happy to win because coffee fuels my day and it’s nice to have it handy for when friends or family visit us. I would love to win this is one of the things me and my husband enjoy our coffee.